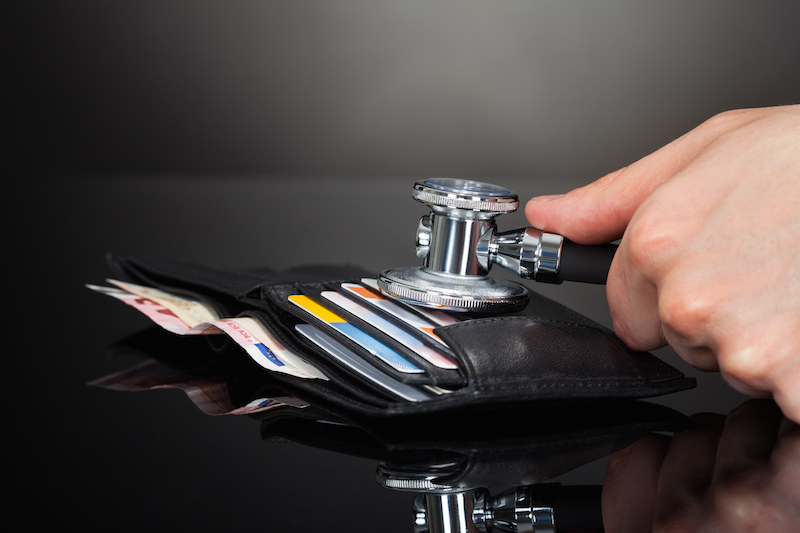 Pay for an Elective Medical Procedure With a Credit Card — Good Idea? If you have an upcoming elective procedure, you may consider charging it to your credit card. However, that may not be the best available payment option. Here’s what you need to consider before swiping your card for a medically-elective surgery. An elective procedure — what’s that? A medical procedure that isn’t an emergency or performed for a life-altering reason is considered an elective procedure. Some elective surgeries are done for completely non-medical reasons like cosmetic surgery, while others are more urgent but not an emergency, like a mastectomy performed due to breast cancer. Should I use my credit card to pay for an elective procedure? Is this a calculated decision? Perhaps you want to rack up credit card rewards on your procedure and have the cash to pay it off in full before the due date — or, alternatively, the cash to pay it off before your introductory period of 0% interest expires. That’s a justifiable reason to put the procedure on a credit card. However, putting the procedure on a credit card with no plans for paying it off is a very expensive way to finance. How urgent is my procedure? If you don’t have the money to pay off the credit card in full, it’s probably a good idea to postpone the procedure if possible. Of course, you should only do this is the procedure isn’t necessary for health purposes. Cosmetic surgery isn’t likely medically necessary and therefore shouldn’t be financed, but a mastectomy should be performed in a timely manner. Is it worth it to me to go into debt for this procedure? Tying into the previous question, you should think about how important this procedure is to you. Credit card debt is financed at a double-digit interest rate. To put it in perspective, if your procedure costs $10,000 on an 18% credit card and you make the monthly minimum payment of $200, it will take seven years and seven months to pay it off and you’ll pay $8,039.72 in interest. This is almost double your original procedure cost. Is the procedure you’re getting worth that amount to you? Presumably, it would be if it was for health reasons and it probably wouldn’t be if it was an optional or vanity procedure. But you’ll have to make that decision for yourself. Save up the money to pay the procedure in full. This way you won’t accrue any interest. If you go this route, you can charge the procedure for the credit card rewards and pay it off before the due date or simply make the payment in cash (or rather debit card or check, so you’ll have payment documentation). Work out a payment plan with the doctor/hospital. Some doctors will work out a payment plan with you, while others require you to pay upfront for procedures. If you can do the former, most doctors offer interest-free financing with a set monthly payment. As long as you can reasonably make the monthly payments, this is a great option to take advantage of. Take out a loan. You may be able to secure a loan at a lower rate than your credit card’s interest rate — like a personal loan, P2P loan or line of credit. Generally, these loans will have a fixed monthly payment and a three- to five-year payoff schedule. Bottom line: If you have the cash to pay off your credit card right away, you can charge your procedure to your card for the rewards. Otherwise, you should consider the importance of the procedure — both to your health and your well-being. Then, consider saving up money to pay for the procedure in full, working out a payment plan with your doctor or taking out a loan to cover the costs of surgery instead of putting it on your card.